Texas relied on clutch hitting with three RBI from Masen Hibbeler and dominant pitching from seven different throwers. 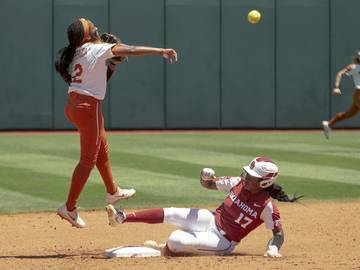 The Longhorns won this series with pitching and defense, Texas trademarks forever although its glove work had been sorely deficient early this season. 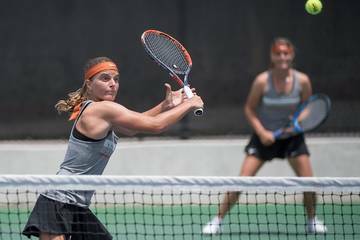 "This just shows our resiliency," head coach David Pierce said. "We had nothing going in our favor, but this team is not going to be denied. You have to beat 'em." Needless to say, this isn’t the blueprint David Pierce had in mind when he came to the ballpark for the series finale on the Big 12’s opening weekend. 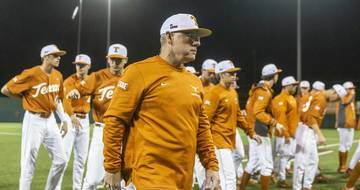 The Texas coach emptied his bullpen and used seven pitchers on Sunday. Those throwers walked nine Texas Tech batters. Pierce’s batters got just four hits and five total in the last two games of the series. Ty Madden, a workhorse who ultimately could be the best Longhorns pitcher in the long term, hurt his shoulder after just eight pitches. No, this is not how Pierce drew it up. 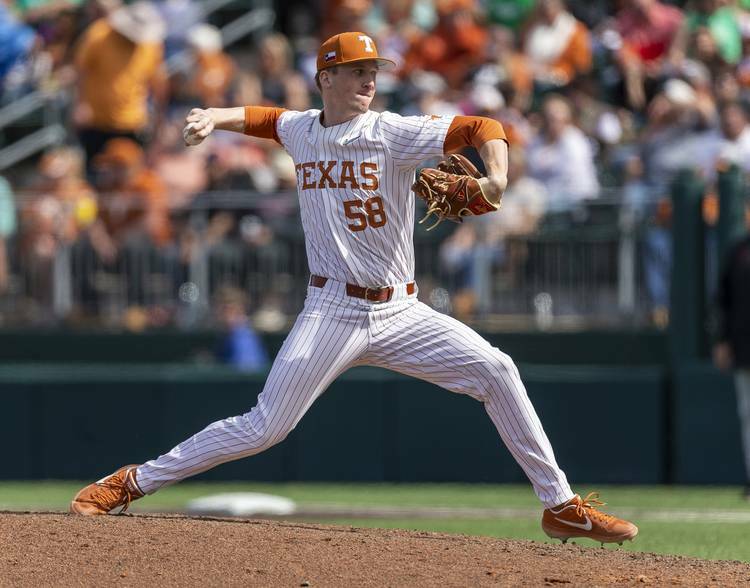 He loved that part, especially after clutch hitter Masen Hibbeler’s insurance RBI in the eighth inning — his third of the day — and a tough bullpen with bottomless potential keyed a 4-3 Texas victory at UFCU Disch-Falk Field. 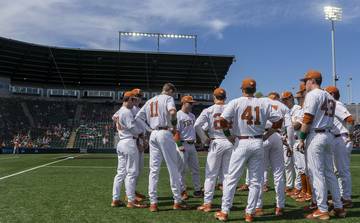 Those heroics gave the 12th-ranked Longhorns the series win in this evenly matched battle between two college baseball heavyweights. Oh, he and his teammates did that OK. Nothing much went Texas’ way for the first half of the game. Tech left-hander Mason Montgomery mowed down the UT lineup, not allowing a hit for the first five innings. 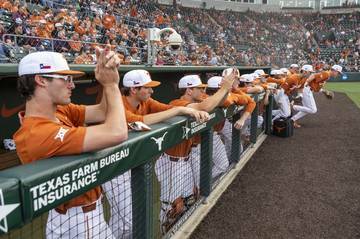 Longhorns starter Coy Cobb had little command and lasted just over two innings. The Red Raiders got their leadoff man on base in eight of the nine innings, but only one of them crossed home plate until the ninth. But score one for perseverance. 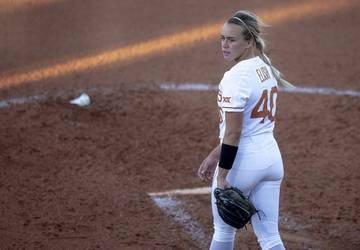 That impressive quality, dominant, deep pitching and clutch hitting — not a lot of it, but timely — could carry Texas far this season. And 11th-ranked Tech couldn’t, dropping to 12-5 overall and 1-2 in league play. 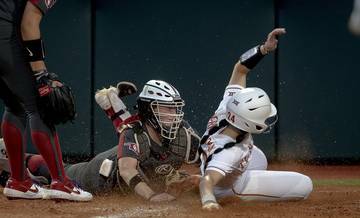 But these talented Red Raiders won’t be going away and will have the luxury of three of their final four Big 12 series, including TCU, at home. Speaking of headgear, the Red Raiders came out with green stockings and green caps in honor of St. Patrick’s Day. 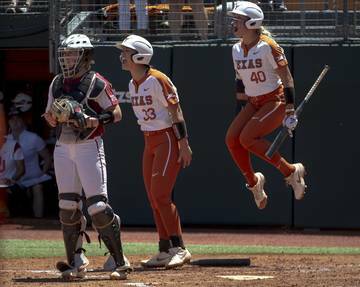 However, with Michael McCann back at catcher after a groin injury against Stanford and Hibbeler stabilizing matters at shortstop, the Longhorns played error-less ball in the three games. And a Tech team that averaged nine runs a game this season scored a total of nine in the series and hit just .226 as a club. That bodes well for Texas’ future. Texas showed up well in the field Sunday. Left fielder Eric Kennedy made a dazzling catch against the wall to rob Tech of an extra-base hit and earlier keyed a relay from him to Hibbeler to McCann that nailed a Red Raiders baserunner at the plate. Cobb picked off a Tech baserunner, Madden coaxed a double-play ball out of the dangerous Jung and reliever Matteo Bocchi did a bellyflop but got the job done, covering first for an out. Oh, they’ll have a shot. 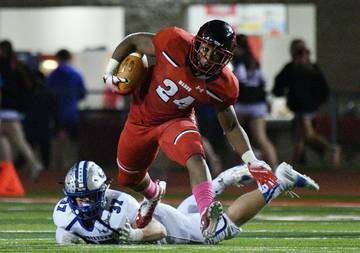 He’s hoping Madden, who has a huge upside, has nothing too serious and just needs some rest. Even so, he’s got a couple of closer-quality relievers in Kam Fields and Cole Quintanilla, who have been spectacular. Neither of those two figured in Sunday’s action, but Tristan Stevens, winning pitcher Mason Bryant, Matt Whelan and Kubichek had great moments and were throwing in the 90s. “Kubichek got ’em three big outs,” Tadlock said. “Who needs left-handers?” Kubichek kidded. And who needs luck. When Pierce was asked if it worried him when he saw Texas Tech decked out in green, he rolled up his sleeve and showed off his own bit of karma. Next story: Golden: March Madness equals sadness in Austin but what of Shaka?